Commission me to make a quilt for you! I would be very pleased to make a quilt exclusively for you. Creating a fiber art piece for another person is a very challenging and rewarding undertaking. It requires a great deal of collaboration, either in person, via email, and/or over the telephone. To facilitate the process, here are two examples of my original quilt designs that can be readily adapted to any size, and any range of colors you desire. For example, Quilt I could be made from a different set of colors, such as blues and yellows, or other combination that would show high contrast. 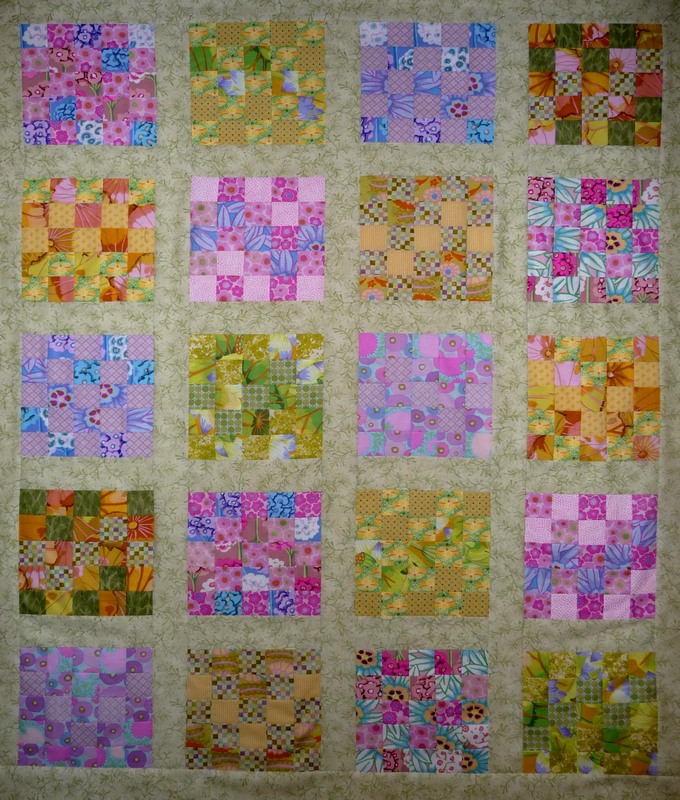 Quilt II will look best if done in a close range of analogous colors. Here it is shown in light, medium, and dark blues, but could be done in a range of light, medium, and dark greens or purples. 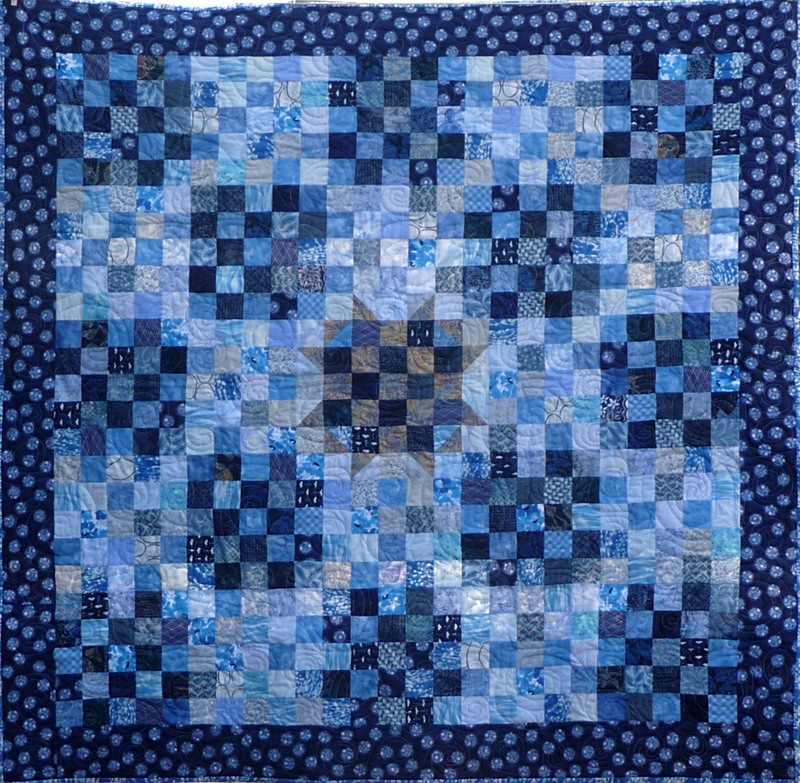 The central star design could be brightened to increase visibility, or moved to another location in the quilt. I would be happy to hear about your ideas. If you prefer, more complex quilts can be made. Pricing will depend on the quilt pattern selected, the type of fabric desired, the range of colors, and the complexity of the quilting design.